Transparent, aggressive, and reliable trial counsel from your trusted personal injury firm in Chattanooga. Chattanooga residents are injured in car accidents, motorcycle accidents, and slip and falls every day. But what happens if the injuries you incur prevent you from working and supporting your family? At the law office of Cavett, Abbott & Weiss, we are well-versed when it comes to going against a liable party's lawyer or insurance company. Contact our law office today and we’ll provide you with further details regarding our legal services. Rarely do we think about getting injured in an accident. But should you ever require medical care because of someone’s negligence or recklessness, it’s important to seek legal assistance as soon as possible. This is where the law office of Cavett, Abbott & Weiss comes into play. Our personal injury attorneys are dedicated to getting you and your family the compensation you deserve. Whereas other personal injury law firms might find it easier to settle out of court, we aren’t afraid to take on insurance companies if it means obtaining more for our clients. Learn more about our personal injury practice areas below. Whether an accident leaves you with severe injuries, disabling injuries, or an insurance company that’s refusing to make a settlement offer, you need a legal advocate. At the law firm of Cavett, Abbott & Weiss, we know the inherent challenges of personal injury cases. For one thing, how are you supposed to pay bills and put food on the table without going to work? Not to mention, how will you afford the necessary medical treatment for your recovery? As you can see, one freak accident can turn a family upside down. While you might consider handling the situation’s aftermath on your own, doing so might just lead to additional stress. 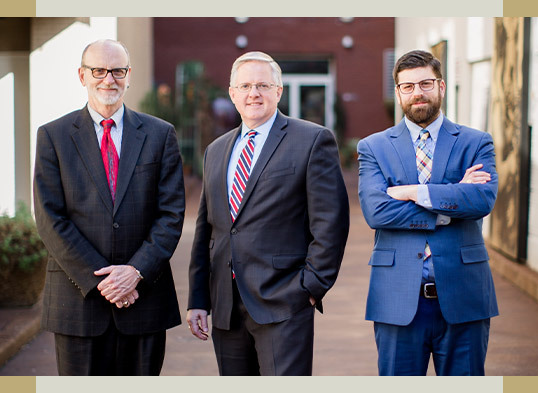 With the personal injury lawyers at Cavett, Abbott & Weiss, you can relax and focus on the recovery process while we deal with the opposition ourselves. So make the smart decision for yourself and your family and contact a car accident lawyer today. There’s nothing but you and the open road — until some careless driver smashes into you, sending you and your bike flying. It goes without saying that motorcycle accidents typically lead to serious injuries that call for extensive medical care. The last thing you want is to be stuck footing these significant costs yourself. Here at Cavett, Abbott & Weiss, our personal injury attorneys take an aggressive approach with motorcycle accident cases. Never will we accept a low-ball settlement offer from the liable party’s lawyer or insurance company. It’s our mission to ensure you receive full compensation for all losses, regardless of the severity of the accident. Turn to our Chattanooga injury lawyer today to serve as your legal advocate. Slip and falls are more common than you might think. So what happens if you take a spill in a high-traffic spot that wasn’t properly maintained? Well, there’s a good chance the liable party will be responsible for handling your medical bills and/or lost wages depending on the severity of your injuries. It all starts by getting in touch with a slip and fall lawyer at Cavett, Abbott & Weiss. Our attorneys can assist with putting together evidence, determining proof of negligence, and negotiating your settlement. Why make the mistake of trying to negotiate with the opposition yourself? Put your case in the hands of our injury lawyers and let us obtain the compensation you deserve. No two personal injury cases are the same. But it certainly helps to have someone by your side who has successfully dealt with similar claims in the past. You can expect an experienced personal injury lawyer to have a vast knowledge of the law and feel comfortable negotiating with the insurance company. You already have minimal free time. With that in mind, you probably don’t want to spend endless hours requesting medical records and looking over both police and medical charts. Of course, there’s also the endless back and forth with the insurance adjuster. We recommend leaving these time-consuming tasks to the professionals. That way, you can stress less about your claim and focus more on your recovery. A personal injury situation often leaves the victim hurt, frustrated, and angry with multiple parties. In many cases, the victim is just not rational enough to make good decisions regarding their claim. Objectivity and reason are key with every legal claim, but especially personal injury ones. There are times when adjusters will not offer a fair settlement for claims. Keep in mind, though, that a seasoned personal injury attorney is comfortable using alternative ways to reach a resolution. This might mean arbitration, mediation, or even trial. Interestingly enough, personal injury victims who hire attorneys tend to receive more money in their settlement compared to those who do not. And yes, this takes lawyer fees into account. So, if you want the highest payout, you should strongly consider opting for legal representation. The law office of Cavett, Abbott & Weiss provides effective, efficient, and reliable trial counsel to those in both state and federal courts. Our personal injury lawyers are here to take the uncertainty out of your case. Contact us today and let us get you on the path toward recovery.